The night of Oct. 14 sets up a week to remember — or perhaps, forget. 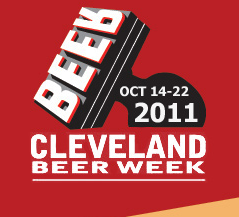 The third annual Cleveland Beer Week kicks off on that Friday and proceeds with a week of craft beer tastings, dinners, demonstrations, educational programs and specials at bars, restaurants and grocers throughout Cuyahoga County. The nonprofit collaboration that aims to raise awareness about Northeast Ohio’s craft beer industry culminates with the “Brewzilla” monster beer tasting from 6 p.m. to 10 p.m. Saturday, Oct. 22, at the Galleria at Erieview in downtown Cleveland.